getting to travel while you work and a lot more. Because of that, we are now seeing more people from all over the world joining the marketplace as a freelancer or an employer, making remote collaboration a common practice. For employers, the great thing about a growing community is having access to many unique sets of talents. This makes it easier for them to find the perfect person for their project. 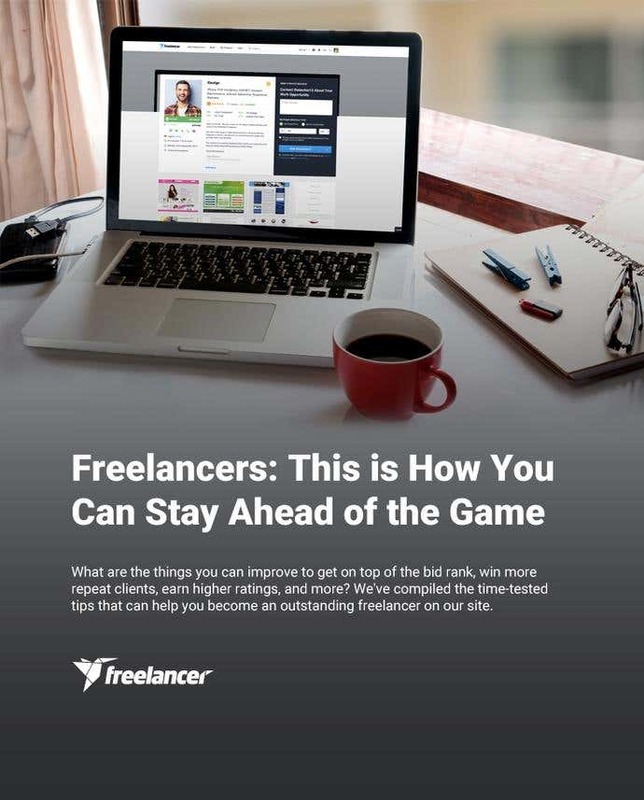 Your responsibility as a freelancer is to stand out -- convince employers that you’re exactly the freelancer they are looking for. Keep EVERYTHING up to date. Let’s start with your profile page. If your profile picture is from five years ago, then surely it’s about time to replace it with a recent one -- something of better quality and one that best represents you as a professional. If you’ve also had new work experience that impressively reflects your skills, you would want potential employers to know about that. So make sure to add those to your bio plus your latest, excellent projects to your online portfolio. Aside from maintaining an impressive profile page, regularly investing in developing your skills and updating your knowledge will keep you in your A game. Everything’s developing fast across all fields so it’s best to stay in the know so as not to fade into the background. Countless of courses are available online, many are even for free. You can check out sites like Coursera, Udemy, edX, and Khan Academy for a list of online courses across different fields. Next, bid to win. Otherwise, why else should you do it? You may already have your regular clients, but it’s always good to bring in new ones. The project doesn’t always go to the lowest bidder; it goes to the best. And by best, it means a good combination of freelance rate, turnaround time, and pitch. Keep in mind that once you got employers hooked with your pitch, your profile page is what they’ll check out next. Additionally, it would help to choose a Membership Plan that’s most useful for you. This determines the number of bids you can make in a month. Once you’ve bagged the project, doing a fantastic job with it will leave a great impression, which will do well for your reputation. Always delivering excellent work and services will make employers want to keep working with you on their future projects and even endorse you to other employers. This way, you wouldn’t lack opportunities to earn. Each freelancer has something only they can do, and the challenge is to make their special skills and talents visible to employers. When you give your freelance job your 100 percent, then there’s no way you’ll find yourself in the bottom of the pile.